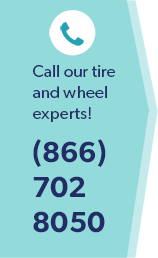 Buying the right vehicle tires in Burke, VA, can feel overwhelming, especially if you decide to choose tires other than your vehicle's Original Equipment (OE). When researching replacement tires search by tire size or by your vehicle make and model. The tire industry uses standardized systematic identification based on these two pieces of information. According to safecar.gov, a National Transportation Highway Safety Administration (NHTSA) website, no matter which manufacturer produces your replacement tires, always follow tire pressure and loading guidelines found in your vehicle manufacturer recommendations. Knowing your tire size is important to making a more informed purchase. Your vehicle's original tire size is found in your owner's manual, on the tire label located inside the driver' side door, on the glove box lid, or inside the fuel door. Most state law says tires are legally worn out when they are down to 2/32" of the remaining tread depth. Tires sold in North America require indicators (called wear bars) be molded across tread patterns. They connect the elements of the tread pattern and, as they wear, caution drivers when tires legally need to be replaced. For light trucks and SUVs, featuring large tread patterns to improve grip off-road. Biting edges for increased traction on surfaces compromised by snow and ice. Maximum road contact for greater traction and cornering in high speed driving. Off-road stability and maximum traction in muddy, snowy, or loose terrain. Look for data on tire speed ratings and average tread life for accurate replacement tire comparisons, and verify with a tire specialist that the tires you pick are right for you.